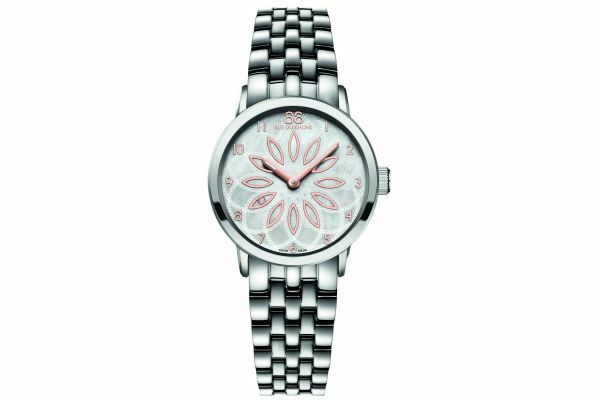 Ladies classic Rue Du Rhone stainless steel watch with a round stainless steel case engraving 'RUE DU RHONE'. Has a stunning mother of pearl dial with rose gold petal detailing, 8-filigree rosette and rose gold Arabic numerals. Not only does it have style but this classic design watch holds quality in the Swiss movement and scratch resistant sapphire crystal glass. Powered by a quartz movement and comes with the Rue Du Rhone 2 year guarantee. 88 Rue Du Rhone 29mm Quartz 87WA140007. For us to size your new 88 Rue Du Rhone 29mm Quartz watch as accurately as possible, please take a look at our downloadable Watch Sizing Guide.